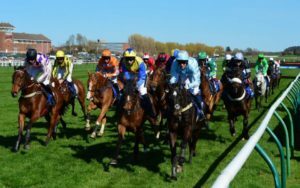 The Parkdean Resorts Glasgow Fair Handicap (4.05) at Ayr on Monday is a trappy affair, in which it’s possible to make a case for most, if not all, of the runners. However, Brother McGonagall is on a roll and may be capable of completing a four-timer, despite taking a significant rise in class. Tim Easterby’s four-year-old starting his winning sequence off a handicap mark of 69, but is now up to a mark off 85 – including a 6lb penalty for winning a 0-80 contest over course and distance eight days ago – so clearly needs to maintain his improvement to feature in this 0-100 affair. However, his latest effort was his best yet and while he best just three rivals on that occasion he did so in convincing style and never looked like being beaten. Among his rivals, the Mark Johnston-trained pair, Poet’s Society and Vale Kent, both like to race prominently, but hopefully there shouldn’t be too much competition for the lead. Certainly, if allowed a “soft” lead, as he was eight days ago, Brother McGonagall could prove a tough nut to crack once again. That said, he doesn’t need to make his own running, as he proved when winning at Beverley and Doncaster on his two previous starts, so he should be fine however the race pans out tactically. It’s fair to say that, statistically, Tim Easterby doesn’t have a great record at Ayr, but as a progressive course and distance winner, Brother McGonagall should give us a decent run for our money. It’s interesting how punter’s approaches to betting differ so widely and how one man’s ‘playing it safe’, is another mans ‘taking a risk’. You see these stories play out across every betting exchange and in every bookmakers. 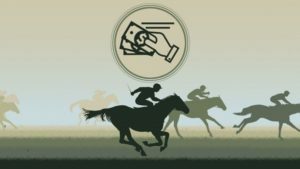 Some gamblers ‘dream big’ and as such hold an almost lottery win-like approach to betting on horses, where they just feel that their 100-1 shot or 1000-1 accumulator bet are going to come good eventually. Others though have a more prudent and planned approach by betting on favourites. They get spurred on by more regular wins instead of the ‘few and far between’ wins of betting on outsiders. 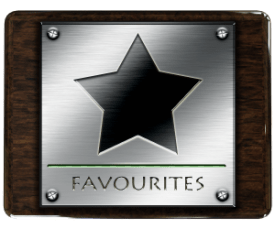 Of course, even when your strategy involves opting for the most likely outcome, as in the case with favourites, there are still various betting options. Some like to bet on even money shots or above, knowing that they will at least be doubling their money as a result of their analysis. Other though, have a ‘chasing crumbs’ approach, prefering to bet on big odds-on selections with the thought that they simply can’t lose. This outlook can work for a good while of course so can have a feel of safety to it, but really who can account for ‘every eventuality’. Just the other day (18:10 10th July), Birj, a 1– 12 huge odds-on shot racing at Brighton, won by the skin of its teeth in a three horse race, so be careful when lumping on a ‘sure thing’ with meagre returns. I think a half way house approach is preferable where you don’t rule out betting on odds if the form and analysis indicate it’s a value bet at those odds, but for the most part stick at even money or better odds, to at least ensure a decent return for your betting buck should you correctly predict the outcome. Of course ‘odds are odds’, and they don’t only apply to horse racing or football, or tennis. That’s the beauty of it really though, just a time to relax and hope that lady luck is on your side, especially if you placed a bet on horses. Of course there are ambitious odds if you’re feeling especially lucky. Its not a mistake to try a small amount on a horse which is unlikely to win the race! Why not, he can run , too. Less likely to come up, but greater rewards when they do. Whatever you’re betting on, and however you’re betting stay lucky! 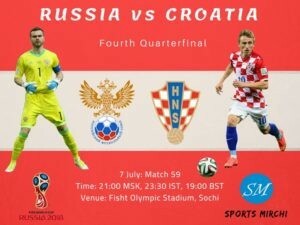 After a truly tremendous pair of penalty wins, Russia and Croatia face off in a major FIFA World Cup Quarter Final. Many Russians had expected to have picked ‘new’ teams for the tournament: many likely even backing Croatia. With the national side far exceeding expectation already, can they really move closer to immortality? When the opening game seen Alan Dzagoev go off with a hamstring injury, everyone presumed he was out of the tournament. While he’ll likely miss out here again, he’s not too far off recovery and could make a potential Semi-Final! A few key suspensions will hurt here, and could be a telling issue as the match progresses. Fitness and depth, especially in defence, will come to be truly tested out here for Russia. The dramatics of missing the late penalty via Luka Modric to then going through via Ivan Rakitic was a tremendous moment for Croatia. While Russia are the high-flying hosts, they struggled against a similarly dogged and intelligent Uruguay side. While Denmark done well to rile Croatia, getting through should leave the Croats in a much more positive position. Without many issues with fitness or missing players, too, they can push the Russian buttons more effectively. With a team that is growing into the competition and now has edged out a result as well as earned one in style, the momentum is there. To knock out Russia, who are playing so above themselves would only further make Croatia feel a little closer to history. While Spain had obvious signs of dysfunction and both Saudi Arabia and Egypt were poor sides, Croatia are not. unless they play as they did against Denmark again, it might be hard for Russia to take out a much more harmonious Croatia side than Spain. We fancy Croatia to win and put the fairytale host nation run to an end.